The Children’s PVC Bee umbrella also has a friendly swarm of bright yellow and black bees busily buzzing around the dome. Doing a bit of pollinating and saying hello! Looking for children’s PVC clear see through dome umbrellas? How about a bee umbrella for your little buzzing bee? 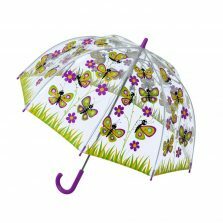 This children’s clear dome children’s PVC bee umbrella has a bumble bee see-through canopy. 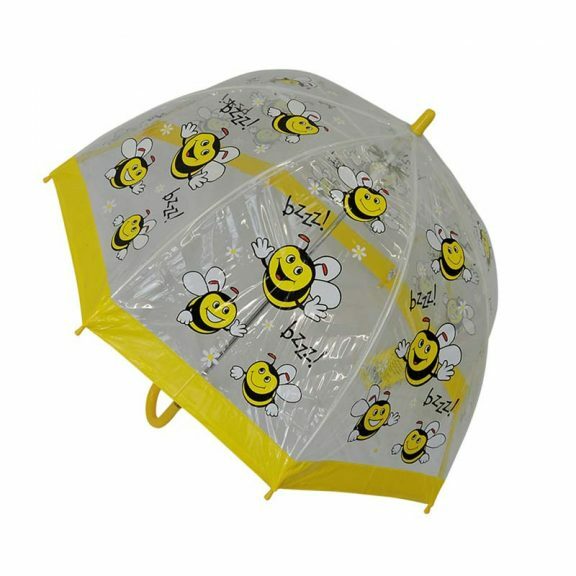 This bee umbrella is one of a range of kids clear dome umbrellas designed especially for children. All the thrills of bee ownership with minimal risk of getting stung or producing any honey. 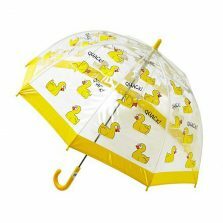 Cheery enough to raise a smile on the wettest of days. As well as this, the matching yellow hem, top, spoke tips and handle complete the design. Construction also includes an exclusive runner for easy opening and closing, making operation safe for little people. For additional safety, the top and spoke tips are also rounded to reduce the potential for injury caused by young, inexperienced and (sadly) often untrained brolly operators! Canopy width is 68 cm / 27″ / and umbrella length is 66 cm / 26″. 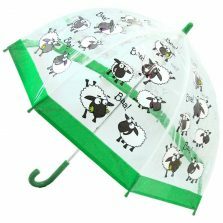 This wonderful range of fun Children’s Umbrellas has been tested to comply fully with strict European safety regulations. Not the one for you? 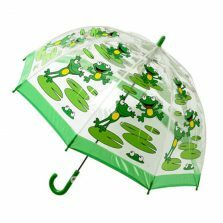 Check out the rest of our quality Kids Cartoon umbrellas!